For all of you who haven't been able to get hold of a copy of Spirit Bound, Twilight Series Theories are having a really cool contest where you can win a copy! To win you have to send in your ideas for dream cast for a Vampire Academy movie. You can send in your ideas for who should play any of the characters to contest@twilightseriestheories.com. EACH character you ‘cast’ is an entry into the contest, and it increases your chances of winning! So, pick a character, or 4 characters from the Vampire Academy! The contest will begin Tuesday, June 1st, and will run through Sunday, June 20th! Twilight Series Theories reserves the right to choose the winners at its discretion. We will pick a winner at random, and mail the book to you… ANYWHERE! So, what are you waiting for? Isn't this a great contest? It would be really interesting to see the dream casts in the contest entries. 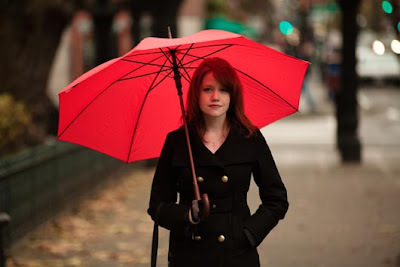 As we mentioned a few days ago, Twilight Series Theories have also been given the opportunity to interview Richelle Mead!